Does your HR Provision measure up? It’s recommended that HR documents and procedures are reviewed at least every two years. 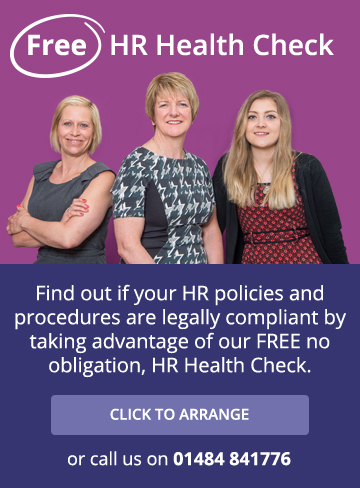 To find out if your documents are legally compliant and your HR procedures are in tune with the way you want to run your business simply take us up on our FREE offer. Call us on 01484 841776 or click on the banner to book your Free HR Health Check.